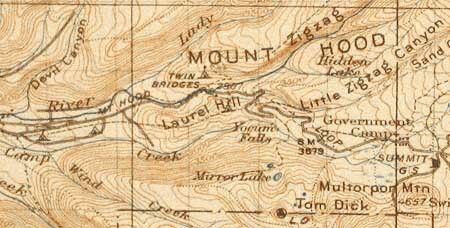 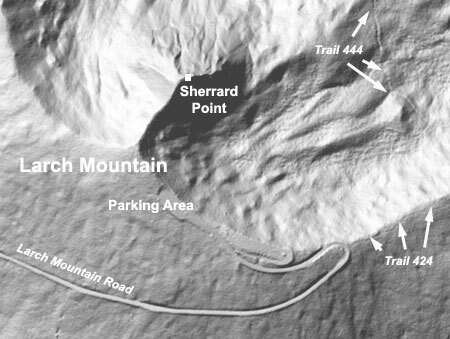 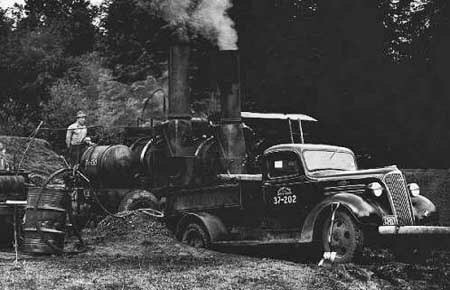 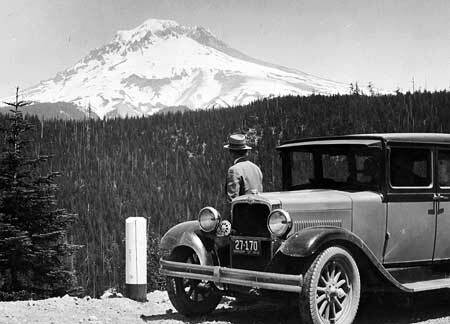 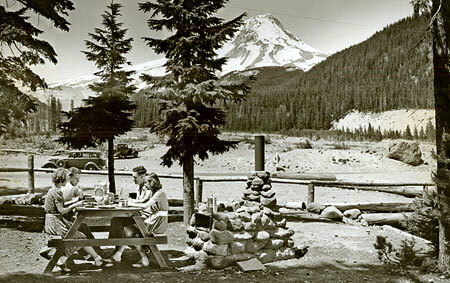 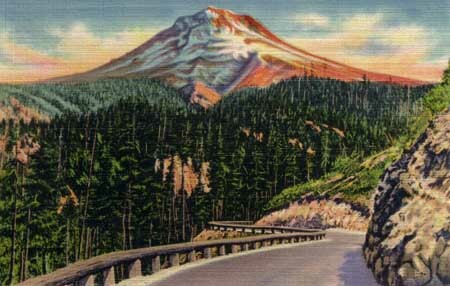 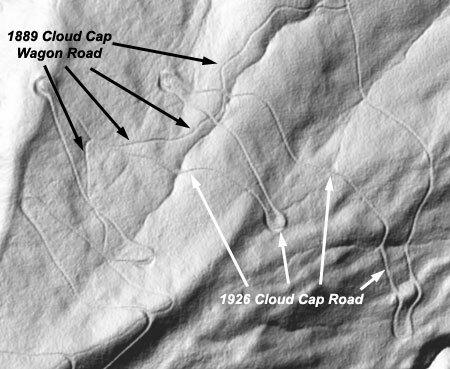 The Mount Hood Highway in the late 1950s, when it was a 2-lane scenic byway that curved through Government Camp on its famous circuit around the mountain. 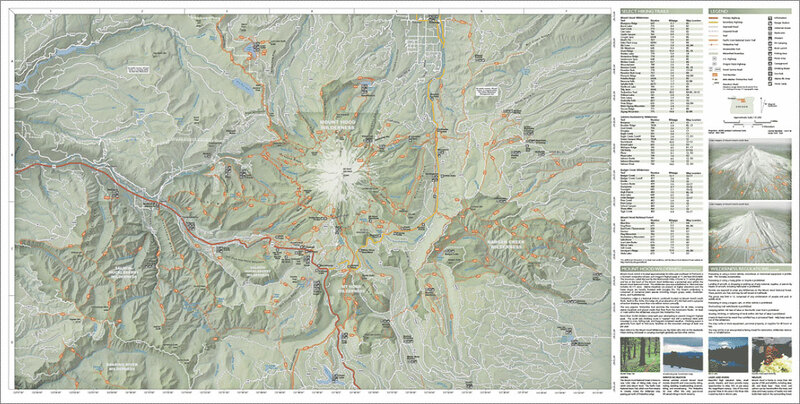 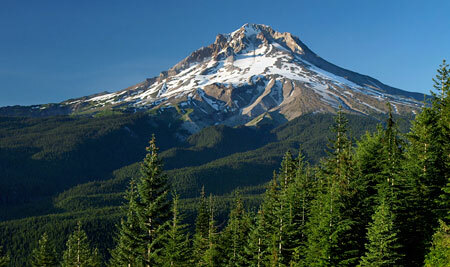 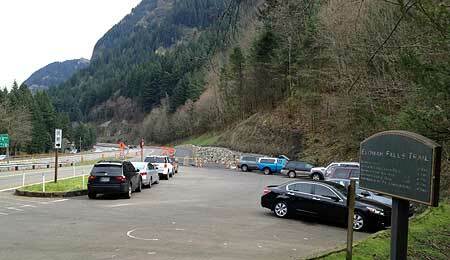 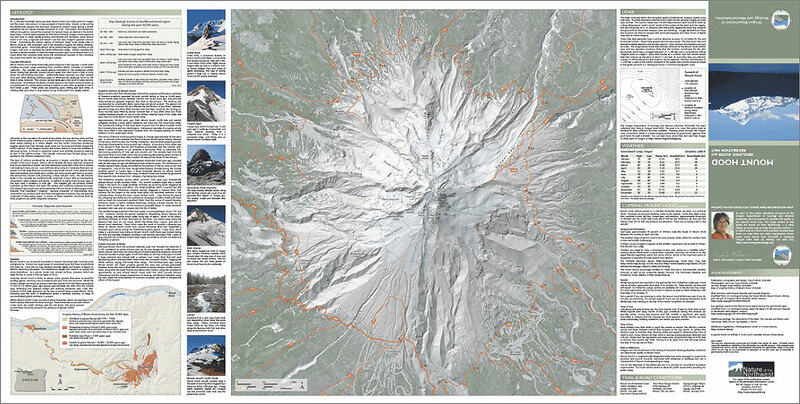 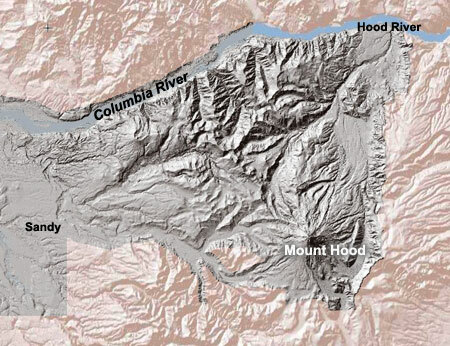 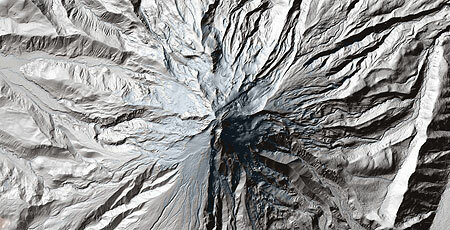 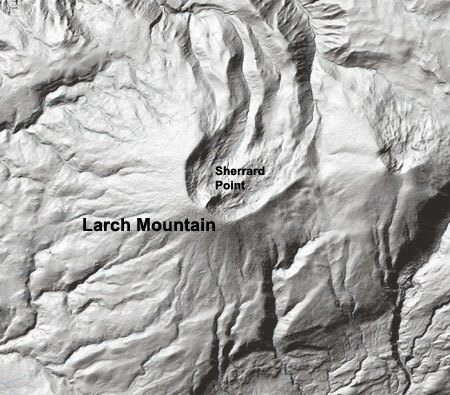 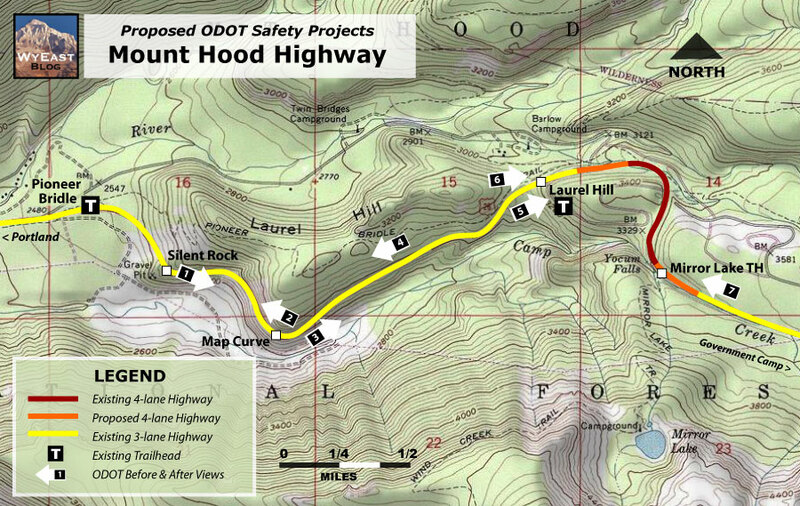 Several years ago, the Oregon Department of Transportation (ODOT) began a series of safety projects in the Mount Hood Highway (Highway 26) corridor in response to a growing number of deadly highway accidents. 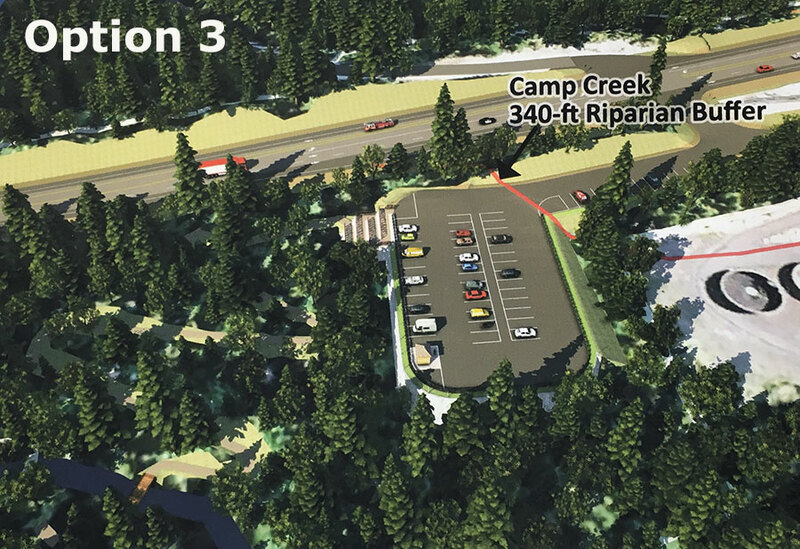 So far, the projects are a mixed bag, with some of the projects dramatically widening the highway in an unfortunate attempt to make it “safer”. 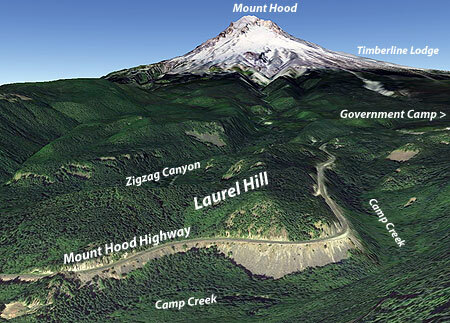 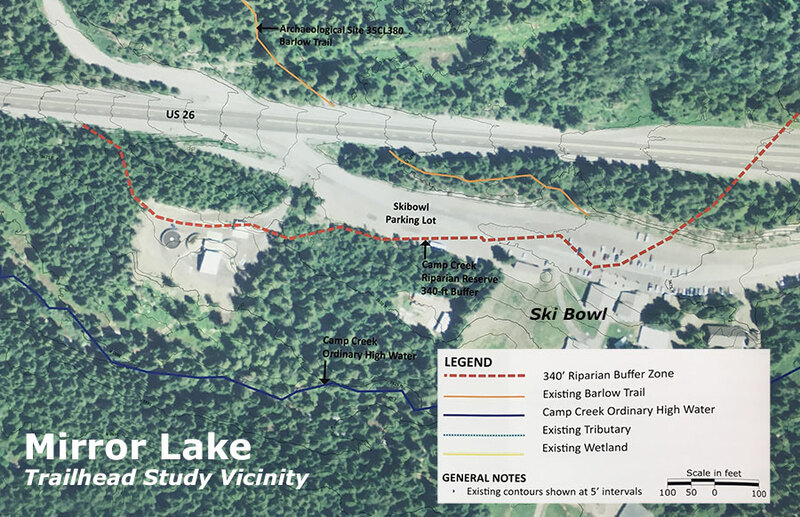 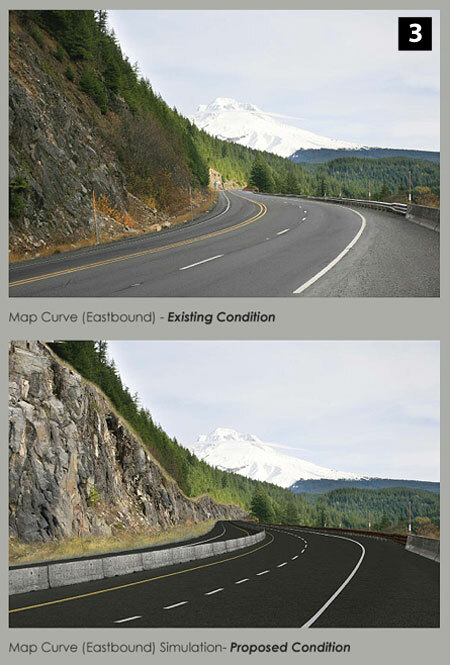 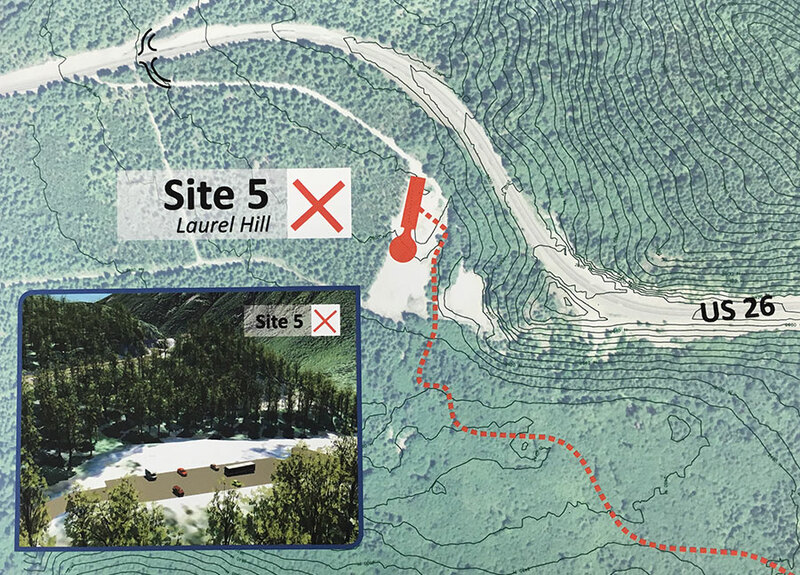 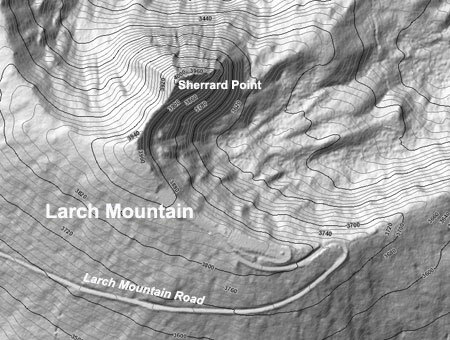 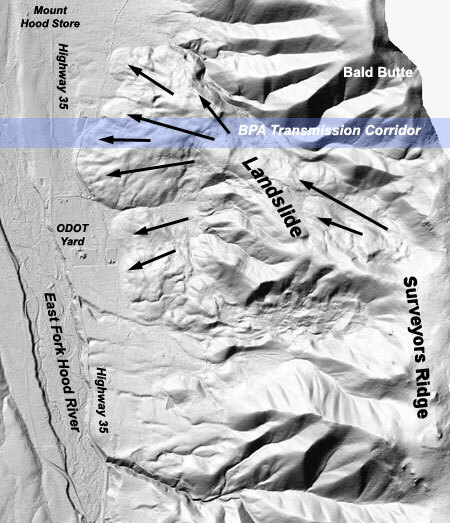 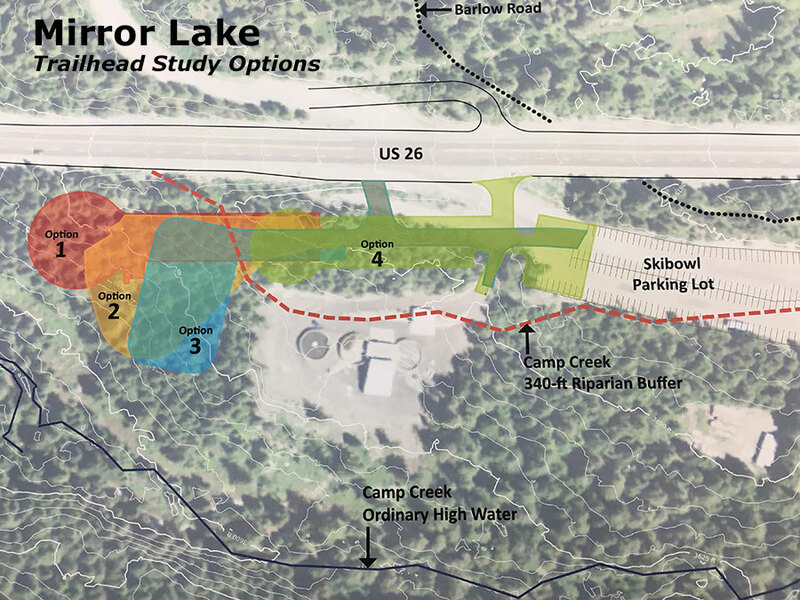 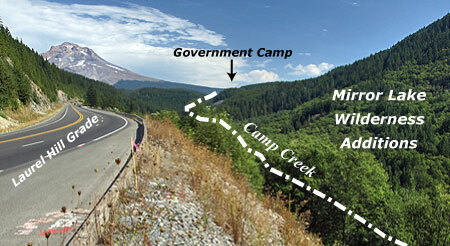 In making the decisions, ODOT is continuing to follow a path that is gradually transforming the Mount Hood Highway into something that looks more like an urban freeway, one dubious “safety” expansion project at a time. 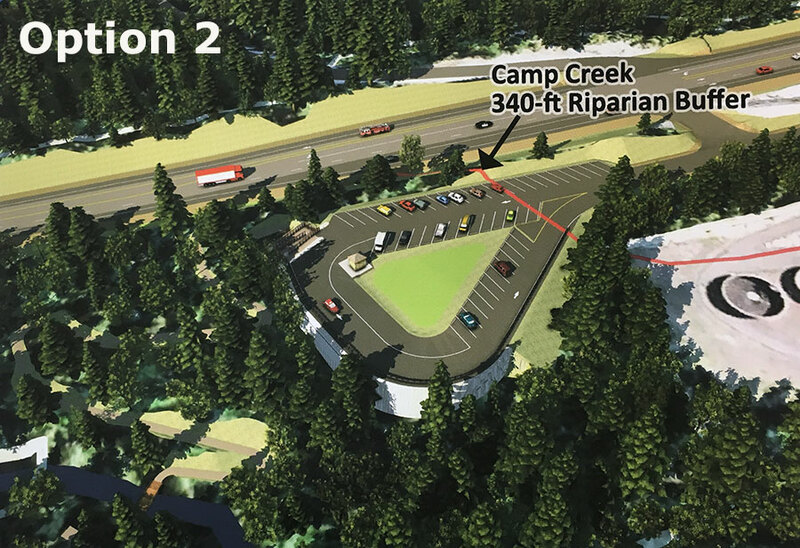 This recent work went into high gear when Highway 26 was designated a safety corridor by the Oregon Transportation Commission (OTC), which has the effect of doubling fines for speeding and other traffic infractions. 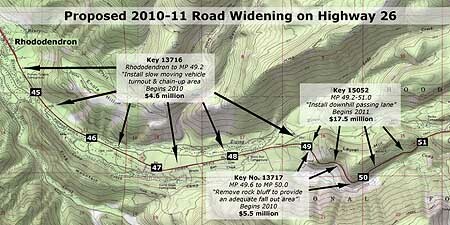 While this simple change in fines may be having an effect on driver behavior, the more aggressive action of setting (and enforcing) a new 45 mph speed limit on a portion of the corridor from Wildwood to Rhododendron has clearly been successful in bringing down speeds along this problematic corridor. 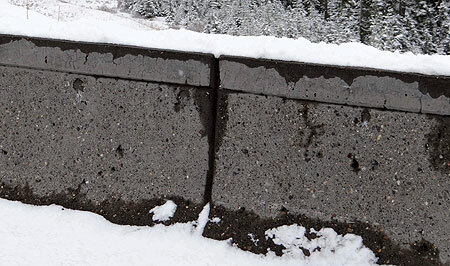 Other projects, like the cable median dividers installed on the Cherryville Hill section of the highway, are simple, inexpensive retrofits to the existing road that leave the corridor mostly untouched. 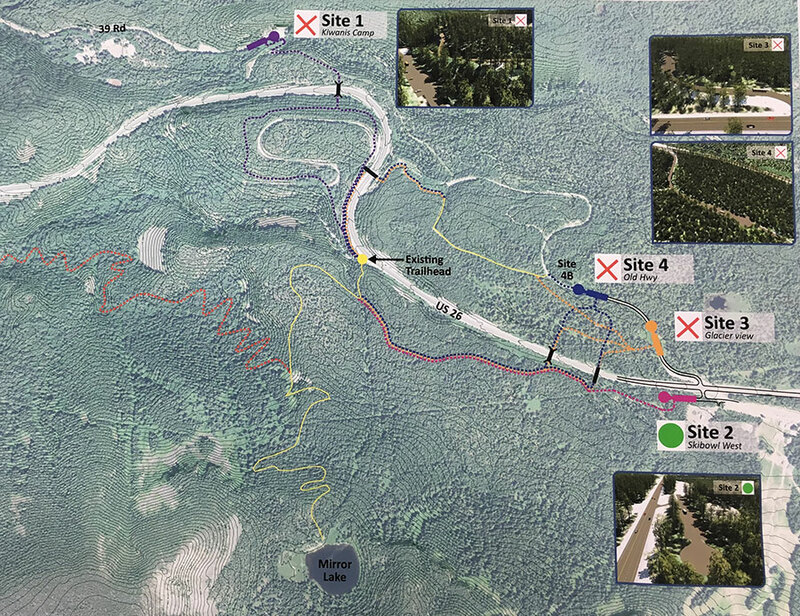 These projects provide a significant improvement in safety, according to early reports (view PDF), while leaving the community character and forested highway shoulders intact. 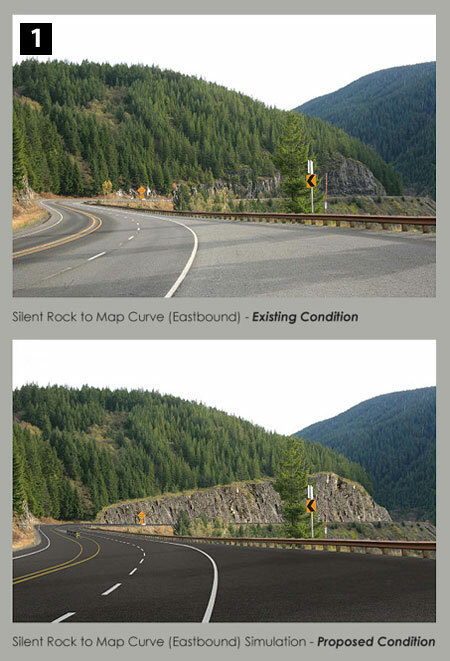 Recent road widening projects along Highway 26 has been sold as safety improvements, but are more likely to simply encourage more speeding. 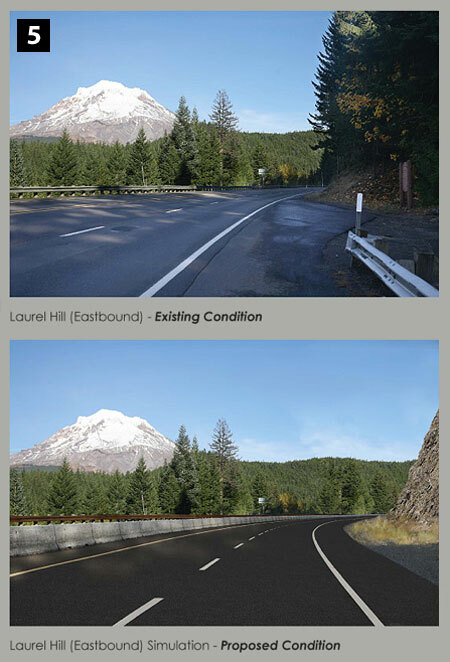 But on other safety projects in Mount Hood Highway corridor, ODOT has fallen into the old-school highway engineering trap of widening and adding lanes in the name of “safety”. 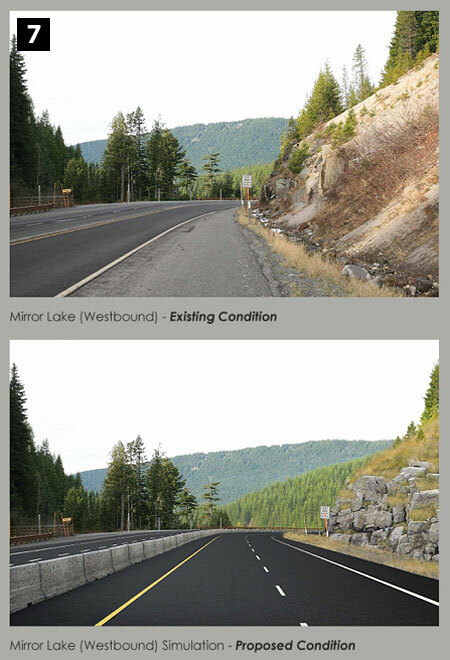 The traditional thinking behind this approach is that making roads wider and adding new lanes will allow faster traffic to pass slow vehicles more safety, and to have better driver visibility and response time, thus reducing accidents. 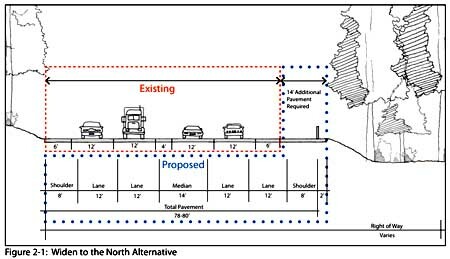 But this traditional approach is rapidly falling out of favor, as transportation research continues to show that drivers simply drive faster with wider roads and more lanes. 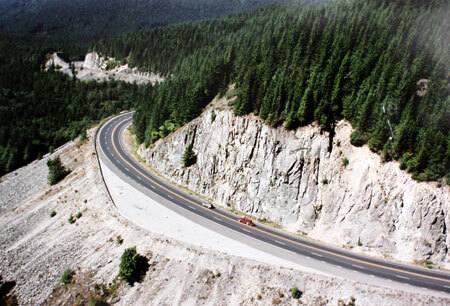 A truism is that on highways, speed kills, so widening a highway for safety is a contradiction, since the wider road will simply encourage more speeding and likely produce still more deadly crashes. 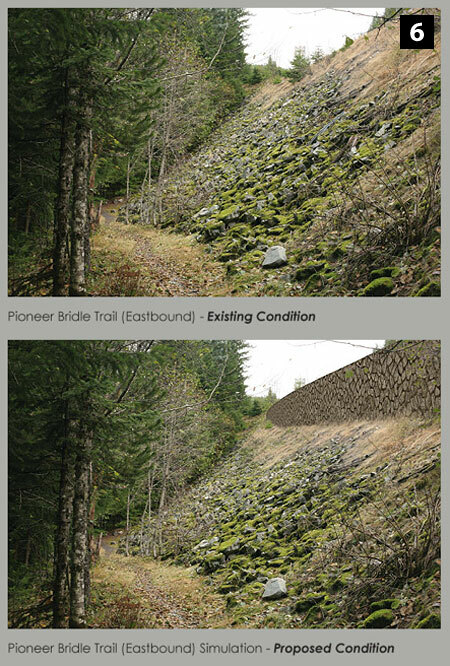 The “widen for safety” approach can also have profound effects on the natural environment and health and safety of communities along a corridor. Building oversized roads in rural areas brings an array of environmental and local community impacts that are rarely considered in the transportation decision-making. 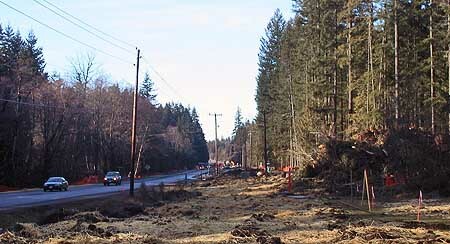 For example, wider roads not only require more right-of-way to be clear for new lanes, but engineers typically clear forests well beyond the roadway in such projects, justifying wide shoulders with safety and maintenance concerns, but rarely considering options that would leave roadside forests intact. 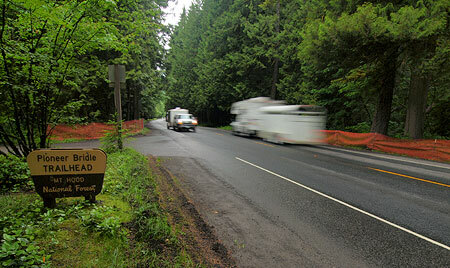 Faster speeds also have a number of unintended effects on rural communities. 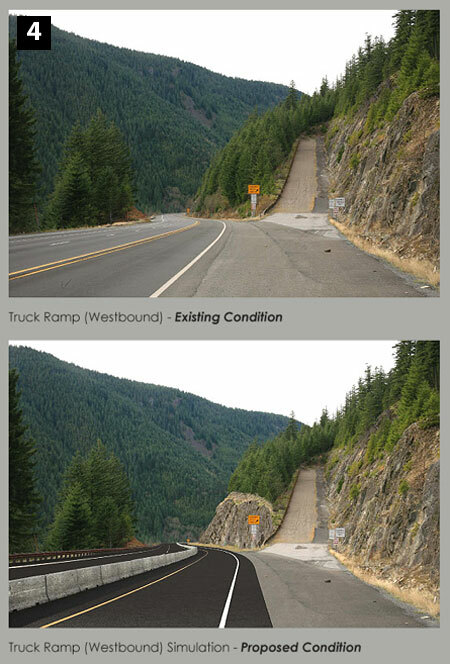 The immediate impact is to make it more dangerous for local traffic to enter or cross the wider highway that doubles as their main thoroughfare. 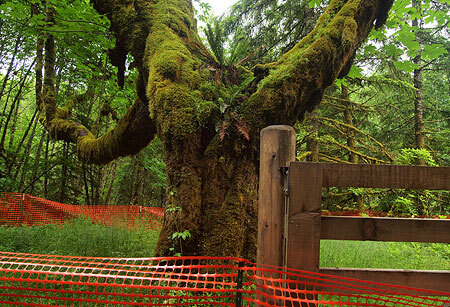 Often, historic local access points are eliminated completely in the name of safety. 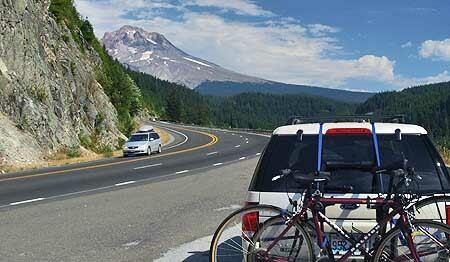 And studies on Washington’s Snoqualamie Pass Highway also show that speeding up traffic results in drivers feeling less safe in pulling off the highway to patronize rural businesses, thereby directly affecting rural tourism economies. 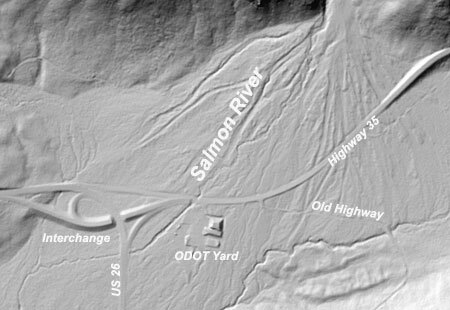 ODOT cross-section of the now constructed Wildwood to Wemme safety widening that eliminated the A.J. 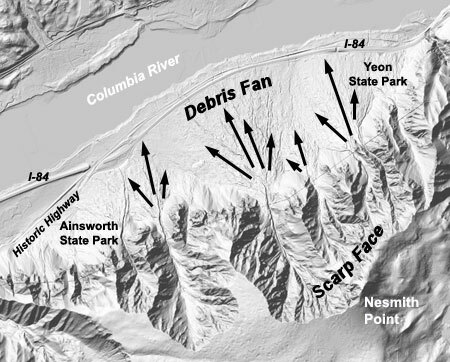 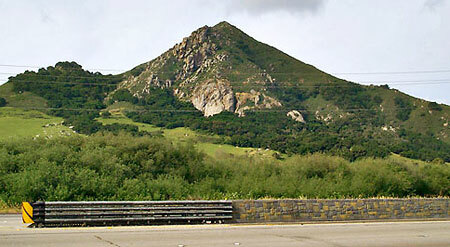 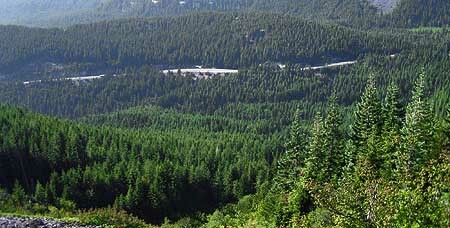 Dwyer Scenic Area (2007). 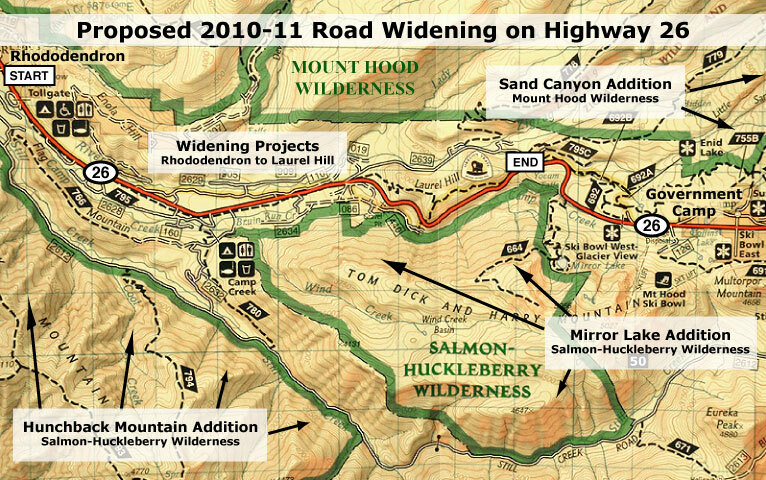 Another problematic part of such “safety” projects like the Wildwood to Wemme widening is the manner in which the larger public is excluded from participating. 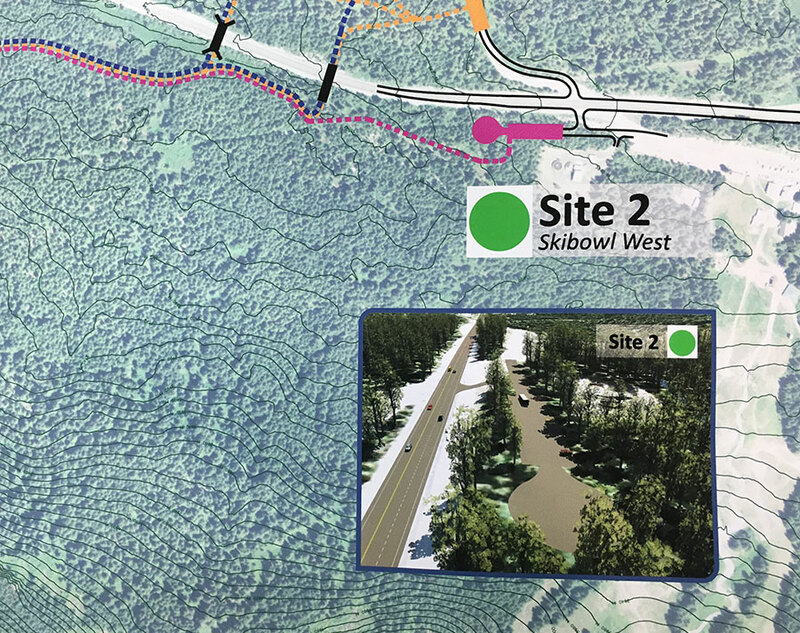 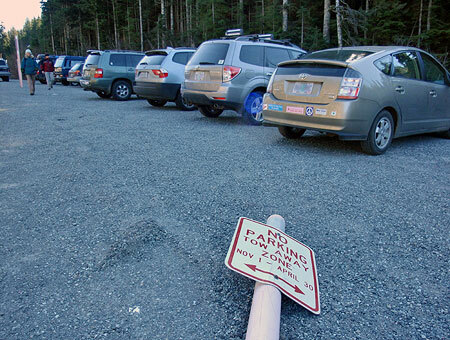 ODOT routinely sends notices to property owners in the vicinity — in this case, several hundred residents of the Wemme community, and holds local community meetings. 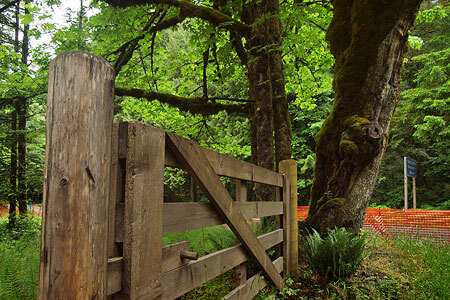 But public involvement beyond the local community is largely absent, especially for those outside the local area who wish to comment online. 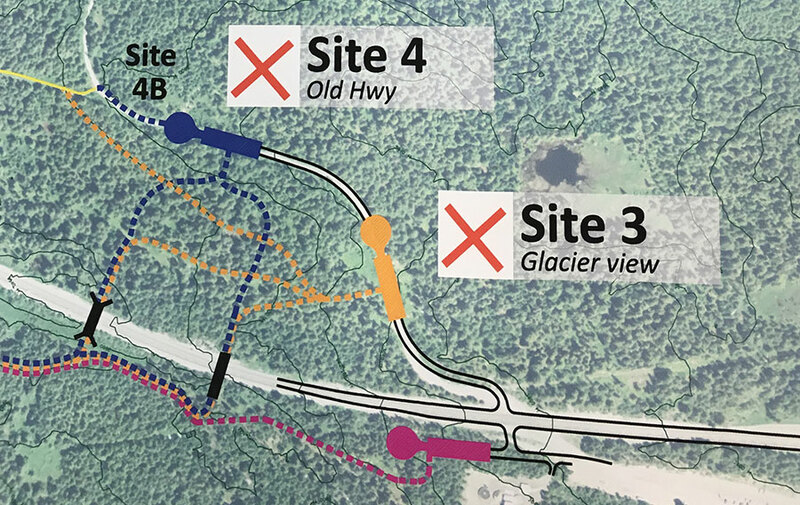 In this example, the local outreach effort drew only three written comments, and three oral comments at a public meeting — with one individual responsible for both a written comment and oral testimony — bringing the total public input to five individuals. 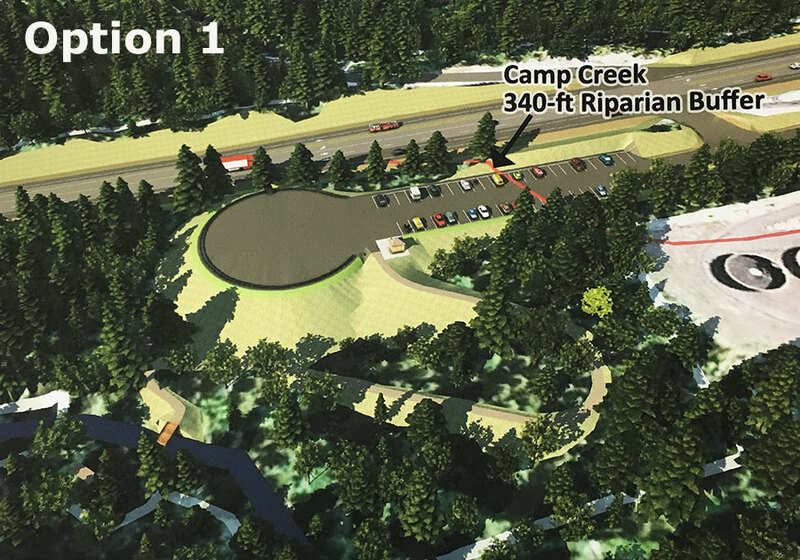 Surely, a project of this magnitude and permanence deserved greater review and input from the hundreds of thousands of Oregonians who use this corridor each year, but do not happen to live in the local community. 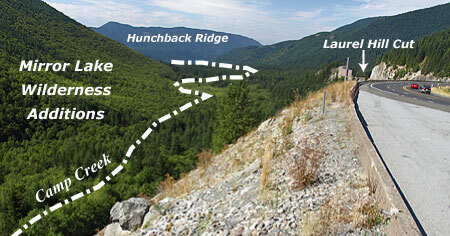 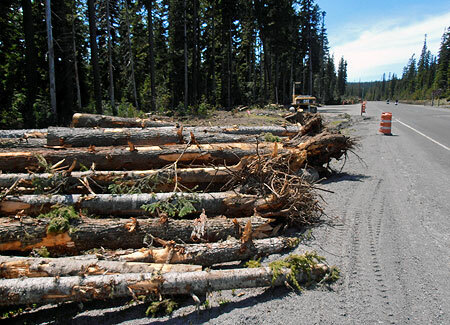 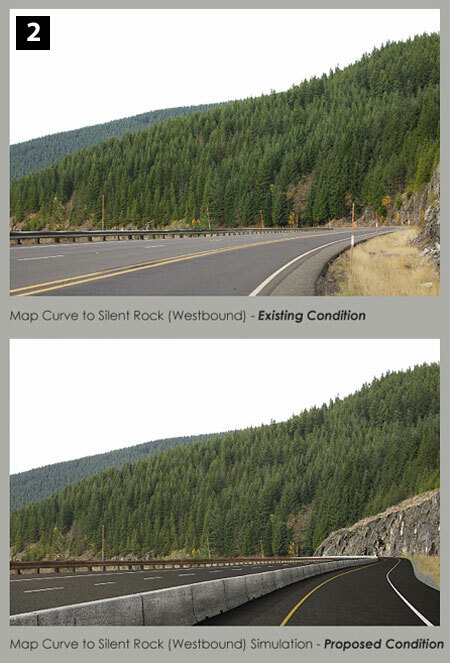 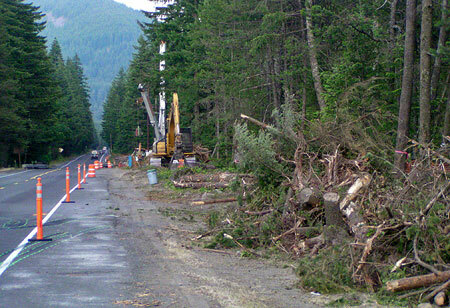 This recent safety project near Zigzag leveled hundreds of trees and converted a scenic 2-lane road into a wide highway. 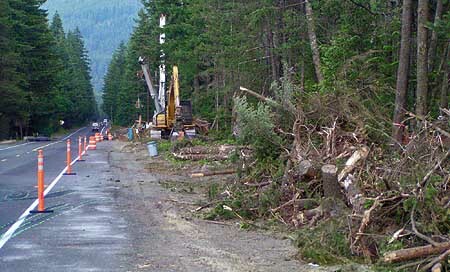 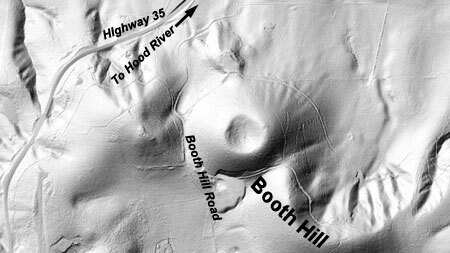 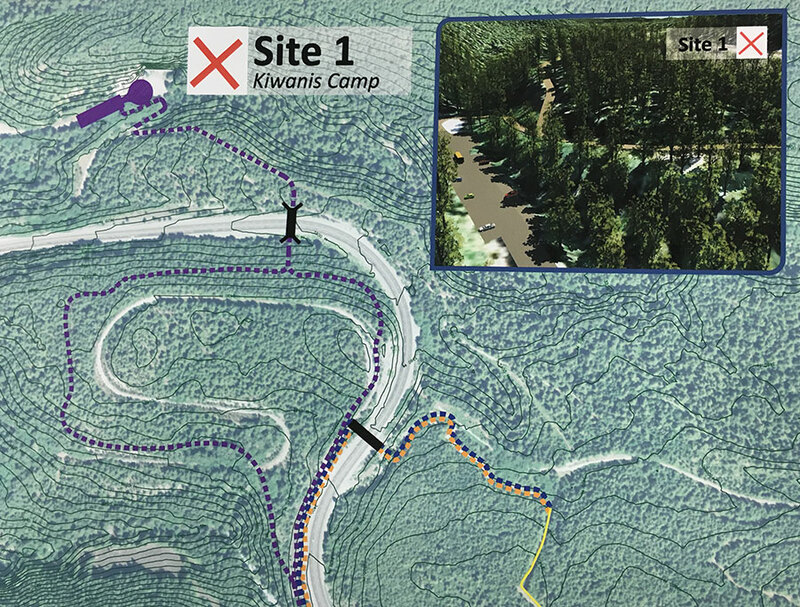 A similar, recent project built between Zigzag and Rhododendron also destroyed a wide swath of forest (pictured above), and closed traditional access points for local streets in the name of safety. 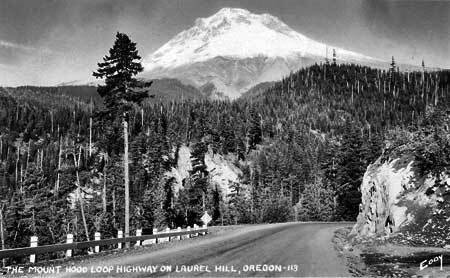 Because a 45 mph speed limit was also established (and enforced) in this section at the same time as the new capacity was added, we will never know if simply enforcing the lower limit might have had the very same safety benefits without the substantial costs and impacts. 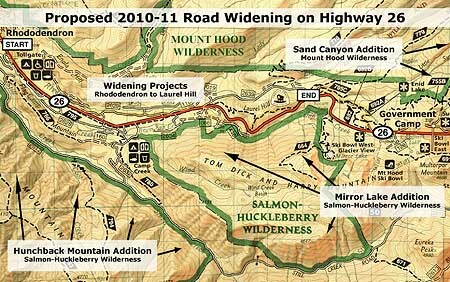 One lesson from these recent “widening for safety” projects might be to strictly enforce the “safety corridor” doubling of fines first, or considering applying lower speed limits, to learn whether improved safety can be addressed more simply and cost effectively with simple changes — and with less impact on the environment and community character. 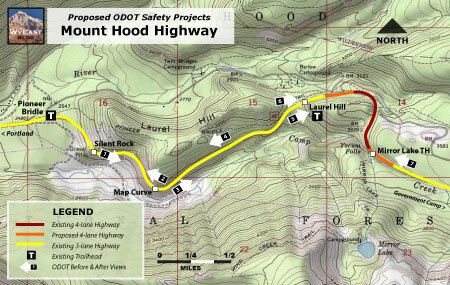 This brings us to the present, and the next round of “safety” projects in the corridor that area about to unfold, a bit further up the highway. 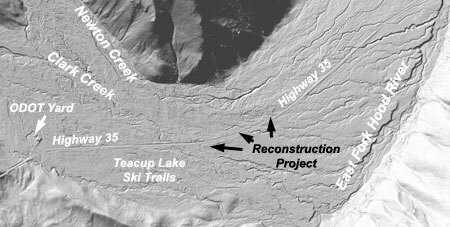 These projects are more of the same, but entirely on public lands and in much more difficult terrain. 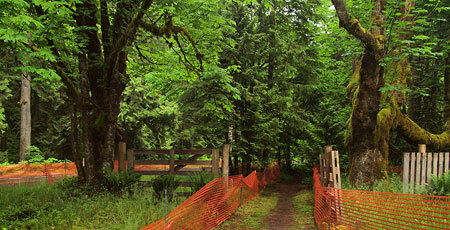 The implication of these projects, and how to have your voice heard, is the focus of Part Two of this article.